So many satellites! So little bullets! Just as there is no cure for the Teddy Boy Blues, there is no explanation for Satellite 7. This game doesn’t feature one satellite, let alone seven of them. Heck, it doesn’t even take place in space. It’s a vertically-scrolling shoot-em-up that combines the creature design of Galaga, the mechanics of Xevious, and the enemy flight patterns of Star Force. Sounds like a potentially winning triple threat of inspiration, does it not? Alas, the amalgamated aftermath is generic shmup 101, a game that feels as though Sega forced it into existence for reasons unknown. In Satellite 7, you control a nondescript ship through a landscape covered in moths, seahorses, and other bug-eyed creatures too large to splat on your ship’s windshield. 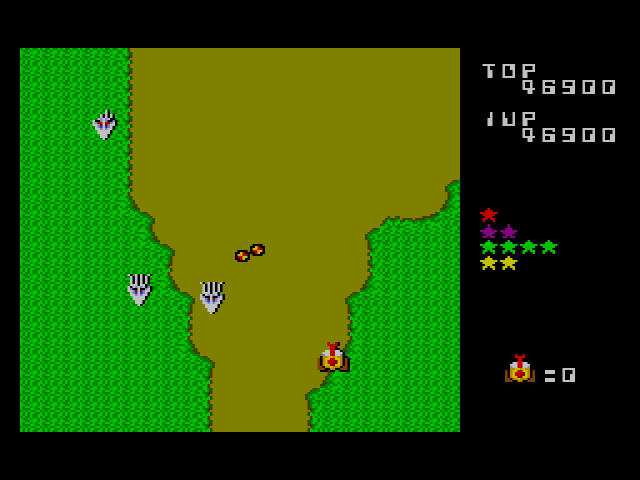 The overgrown creatures are relentless – they zig diagonally across the screen, then zag towards you before dropping a bomb and disappearing. Lord help you when two different creature types enter your point-of-view: chaos forms quickly from their varied movement patterns, and it’s all you can do to avoid them and their projectiles. The shelled crab boss is insanely difficult too, with his combination of homing missiles and stray projectile. “Y’all gon’ make me lose my mind,” indeed, and for seemingly little purpose. Bloopers make a very special cameo appearance. You have two attacks, a straightforward feast of rapid-fire, and bombs that drop too slowly and precisely on the ground below. Different colored stars – green, red, yellow, purple, and white, almost all the colors of the rainbow – appear occasionally on the playfield, as well. Collect five of a certain color (the amount you’ve collected is shown on the right hand side of the screen) and your ship will receive an enhancement, like extra speed, faster fire, temporary invincibility, etc. The stars are Satellite 7‘s one slightly innovative note, but they feel underutilized. For how sparingly they’re given to the player, they don’t provide enough of an upgrade to warrant collecting them. Surely they could have chosen a more pleasant shade of puke for the ground, yes? The two features you’ll notice when you first play Satellite 7: the game takes place in the daytime; and the music aims for silliness, which gives the otherwise sterile events of the game a slightly maniacal feel. With the benefit of daylight, we can see that Satellite 7‘s events occur above Earth or an earth-like planet with a highway system, an ocean, forests, and evil metal buildings on the ground. The flittering music grows wearisome after a couple minutes. I think it’s supposed to add a degree of whimsy to the otherwise rote act of shooting and dodging, but the aggressive cheeriness accomplished nothing but eye-twitch and brain ruts. The crab boss looks like all of the other creatures in the game mushed together. If you’ve followed my reviews for any amount of time, you know I love shmups, even ones that aren’t very good. 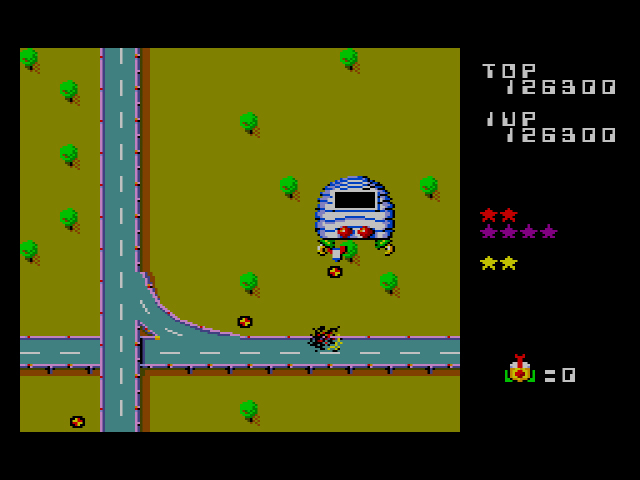 Satellite 7, however, has such a tossed-off, grab-bag feel of “Hey, these elements worked in other shooters, right?”, as if Sega had to rush a shoot-em-up onto the Mark III before the end of 1985. Sega’s subsequent poor treatment of the game confirms their lack of interest. 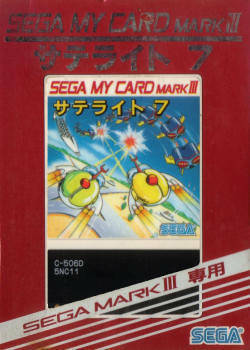 The game was never released in arcades – unusual for a shoot-em-up, and when one considers how often Sega’s SG-1000 titles either came from arcade or were given arcade ports. Satellite 7 also never received an official release outside of Japan (the shmup was included alongside dozens of other games in a Brazilian DVD/Karaoke/Master System combo machine in 2009, but one wonders at the legality of the game’s presence in that mix). What all this speculation amounts to is: Sega doesn’t care about Satellite 7‘s presence in their back catalog, and neither should you. Thanks! The bad games do tend to fire up the creative juices more than the good ones, but hopefully that will change over the course of this journey. You know, looking at these 1985 releases, I only had 3 of these. One, Hang On, was a pack in. They were all card games. (Well my Hang on was a cart Hang On Safari Hunt combo.) I don’t really think the SMS picked up a lot of steam till 86. Out of all the 85 games, I kind of liked Tennis the best. And that’s not saying much. Seems these card games are rather underwhelming. Seems like SOA made a wise choice not bringing this out over here. 86 Brings cartridge games and a lot more memorable titles. These games almost seem like a half step between the SG-1000 and the SMS. I’m actually looking forward to reading about the 1986 SG-1000 titles more this year than the SMS because at least I’ve never seen them. My thoughts exactly. Right now the games feel and play like SG-1000 games with extra colors. I know ’86 will change things, though. In terms of the card games being underwhelming, as we have seen in the SG-1000 reviews the card based games seemed to have been the best. Certainly for the SMS with its more powerful processor the card games seemed more limited. 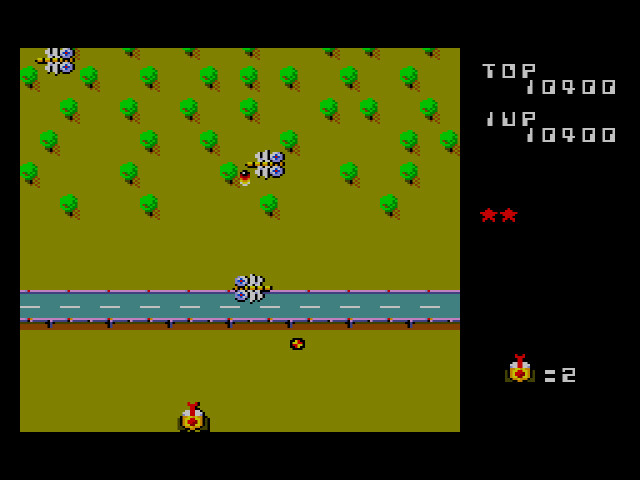 The slow start in to a games library for the SMS is typical of many new consoles and developers. PSX to PS2 for example. Many early games for the PS2 were in fact PSX games that weren’t released on that console in favor of chucking them on to the new console. It seems like the same happened between the SG-1000 and the SMS/Mark III.